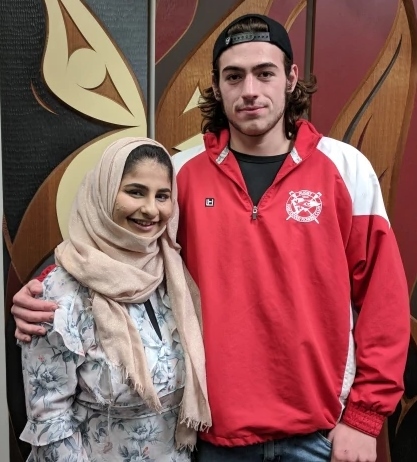 We salute you Jake Taylor, he got Vancouver's attention when he was the only passenger on a train who stepped in to help an 18 year old woman who was being attacked by a stranger. The one guy who came to help was Jake Taylor who plays rugby for the Vancouver Rowing Club. In the radio interview (8:20 in), when the host asked, "Why did you intervene and other people didn't?". His response was, "Anyone who I classify as a friend would have done the exact same thing. Anyone who plays on my rugby team would have done the same thing." Does rugby prepare you physically and mentally to take action when others are more hesitant? Hours of training on the pitch to react instintively to physical challenges, putting your body on the line to protect your teammates. It's never someone else's job in rugby, if you're the closest to the action it's your job whether it's making the tackle, securing the ball or making the hard yards. Well done Jake.